An innovative and sustainable carbothermal reduction and nitridation (CTRN) process of ilmenite (FeTiO3) using a mixture of polyethylene terephthalate (PET) and coal as the primary reductant under an H2–N2 atmosphere was proposed. The use of PET as an alternative source of carbon not only enhances the porosity of the pellets but also results in the separation of Fe from titanium oxycarbonitride (TiO x C y N z ) particles because of the differences in surface tension. The experiments were carried out at 1250°C for 3 h using four different PET contents ranging from 25wt% to 100wt% in the reductant. X-ray diffraction (XRD), scanning electron microscopy (SEM) in conjunction with energy-dispersive X-ray spectroscopy (EDX), and LECO elemental analysis were used to study the phases and microstructures of the reduced samples. In the case of 75wt% PET, iron distinctly separated from the synthesized TiO x C y N z phase. With increasing PET content in the sample, the reduction and nitridation rates substantially increased. The synthesis of an oxycarbonitride with stoichiometry of TiO0.02C0.13N0.85 with minimal intermediate titanium sub-oxides was achieved. The results also showed that the iron particles formed from CTRN of FeTiO3 exhibited a spherical morphology, which is conducive for Fe removal via the Becher process. The authors gratefully acknowledge the financial support from Universiti Sains Malaysia (USM) Fellowship (APEX 1002/JHEA/ATSG4001). This work was also financially supported by USM and Ministry of Higher Education (MOHE) of Malaysia through Fundamental Research Grant Scheme (FRGS) (Nos. 203/PBAHAN/6071230 and 203/PBAHAN/607126) and Research University Grant for Individual (RUI) from USM (No. 1001/PBAHAN/814273). 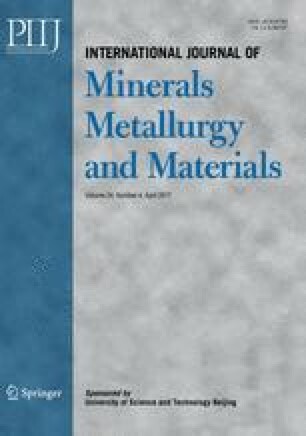 The authors are also thankful to Dr. Hazman Haji Seli from the Faculty of Chemical Engineering, Universiti Teknologi MARA Sarawak at Kota Samarahan for providing Mukah–Balingian coal. Special thanks are given to USM technicians Mr. Shahrul and Mr. Syafiq for supporting the experimental work.